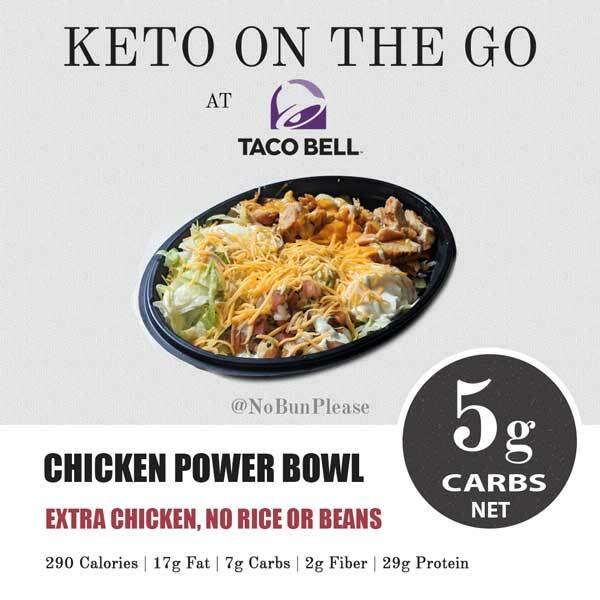 If you’re following Keto, Taco Bell is probably the last place that you’d ever think to find a meal option. With a few simple modifications however, there are plenty of items to choose from that won’t ruin your progress! Avoid the obvious carb-heavy items like rice, tortillas and desserts. If you’re sold on a certain menu item, try ordering it without the tortilla. Instead, you’ll receive all of your food in a plastic container. Some locations will let you create your own meal by ordering each component on the side. Looking to add more protein? You can add extra meat to any item for a small up-charge. Ordering with the Taco Bell app makes customizing orders a lot easier! 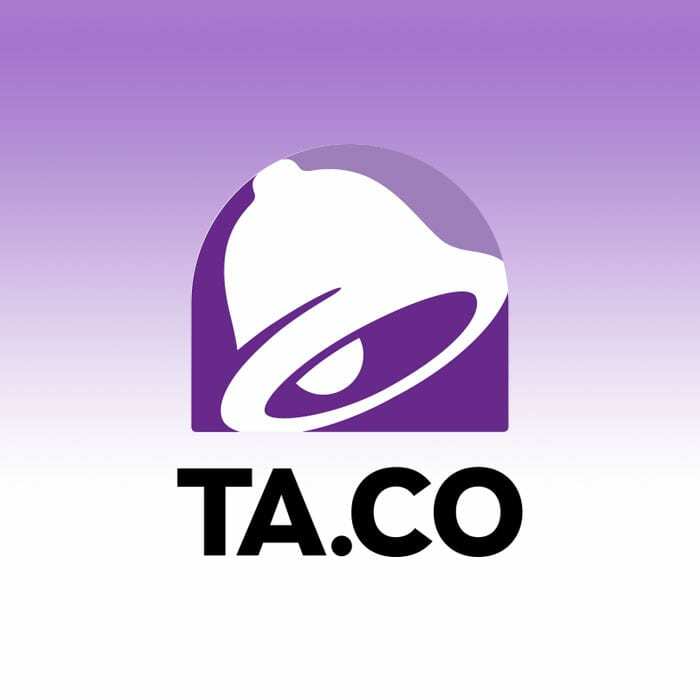 Don’t have a Taco Bell near you? There are plenty of other fast food joints in my Keto Eating Out Guides. Most of the breakfast options contain a tortilla and/or hashbrowns, so we’re a little limited with what we can choose from. There are a few different types of tacos available at Taco Bell. I tend to go the Supreme route and ask for them with no tortilla. Missing chips or a taco shell with your meal? Bring your own low carb tortilla or Quest chips! If you order a regular taco, it’s going to come with shredded cheese and iceberg lettuce by default. Avoiding dairy? If you order a Fresco taco, it will come with just iceberg lettuce and pico de gallo. A Supreme taco will come with cheddar cheese, iceberg lettuce, sour cream and tomatoes. If you order extra meat and want to calculate the nutrition, just add an additional side from the proteins section below. Some locations may give you the option of ordering the items you want on the side. In addition, you can also add extra protein to your order for an additional charge. You’ll be pleased to know that most of the sauces and condiments are Keto friendly! All nutritional information pulled from the Taco Bell website and app. 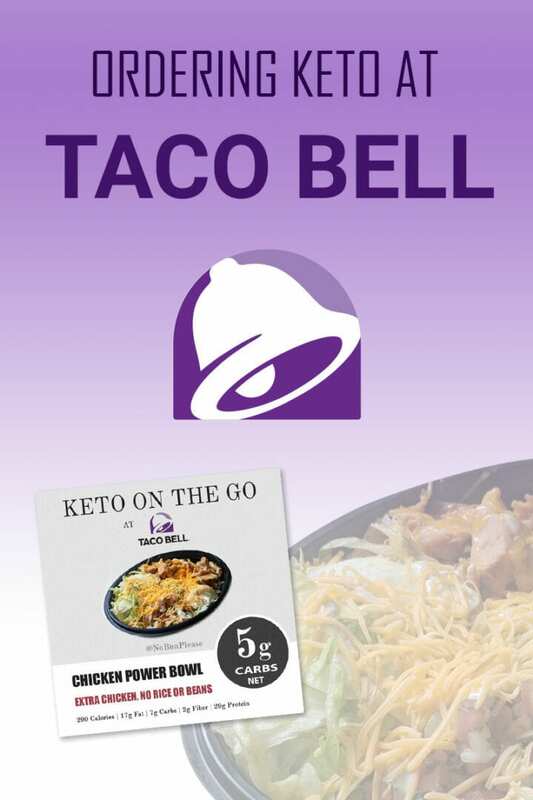 Do you have any favorite Keto options at Taco Bell? Leave a comment below!